New: Lenti options are now available. 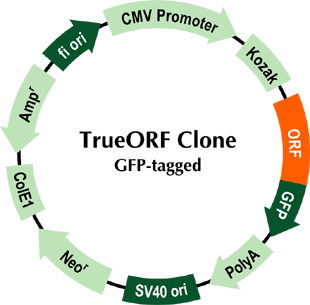 The CMV promoter and a Kozak consensus sequence drive protein expression in mammalian cells. 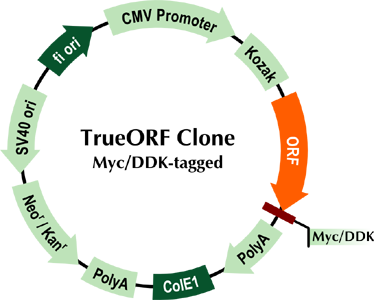 The C-terminus of the ORF is tagged with Myc/DDK* or tGFP. 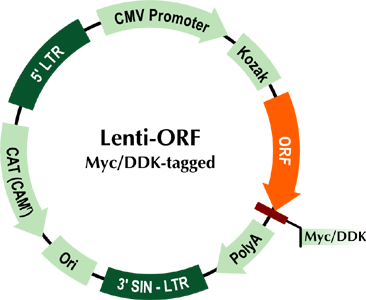 Ten (10) ug of purified plasmid is provided for immediate transfection and expression experiments. 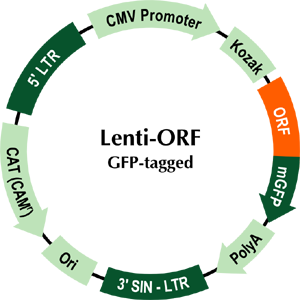 The upstream T7 promoter allows protein expression in cell-free system. Engineered as the entry vector for the OriGene PrecisionShuttle system.